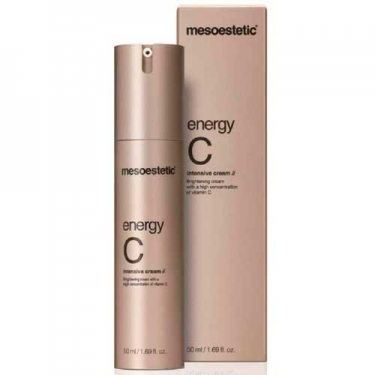 DESCRIPTION: Energy C Intensive Cream from Mesoestetic is an illuminating cream designed to fight the first signs of aging. 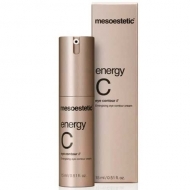 Its high concentration of stable vitamin C unifies the tone of the skin giving it luminosity. Its antioxidant properties fights the harmful effects of ultraviolet rays, preventing premature photoaging. 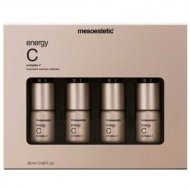 The combination of its active ingredients provides hydration and attenuates fine wrinkles and expression lines. Apply morning and evening on the face, neck and lap through a gentle circular massage until the total absorption of the product.